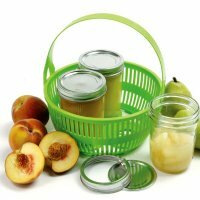 Capacity: Holds 2 quart, 4 half pint or 4 one pint canning jars. Elevates jar off of direct heat. High heat resistant up to 320Â°F / 160Â°C.